Even on the greyest of February days you can rely on the winter aconite, Eranthis hyemalis to bring some sunshine into the garden. The pools of golden flowers, just 10cm (4in) tall look like sunlight come to earth. They are at there best when seen en masse where they have been left to seed themselves under trees and in short grass. The most impressive plantings are in old Edwardian and even Victorian garden garden where they have been left undisturbed for decades. 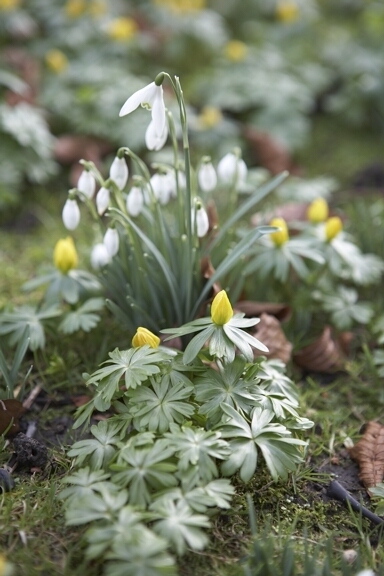 They are undemanding plants and will flower well with little fuss, even on dry, chalky soil. Plant them initially in fertile soil and then let them find there own way to inhospitable places under trees and shrubs. They will eventually even colonise the unwelcoming area under walnut trees and chestnut tress. The foliage dies back soon after they have finished flowering . 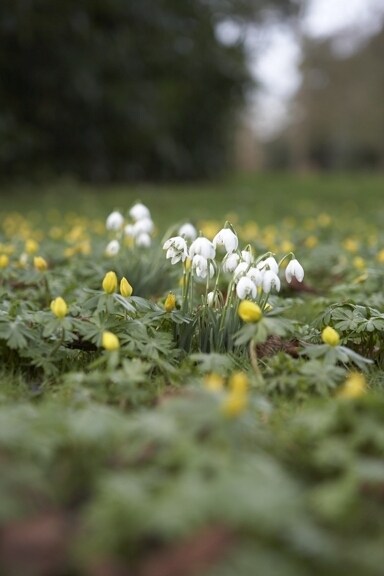 They are the perfect companion to snowdrops.